This is my Christmas shelf at our cabin. 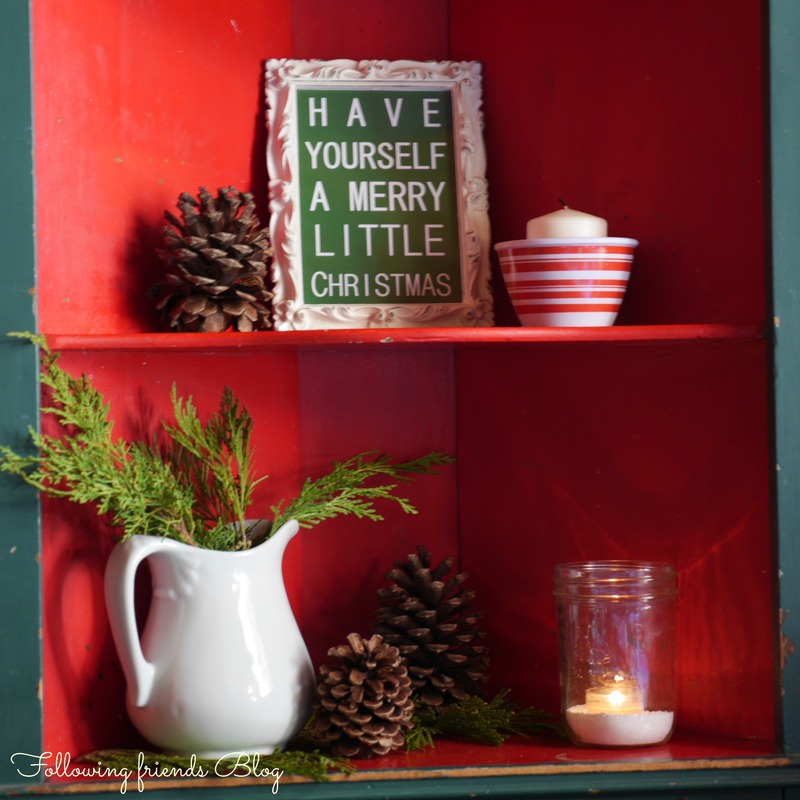 The sign is one of my favorite Christmas decorations and it is so easy and simple to make. You can download the PDF and print one for yourself. It fits a 5×7 frame. Click here for your free printable.